Medical devices are the strongest driver of the 3D Printing market with over 200,000 units being produced each day. 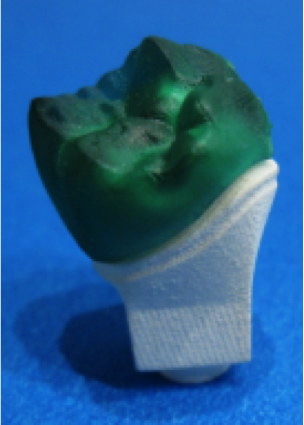 These include dental prostheses for which the mass customization and high precision of additive manufacturing brings benefits like easier fit for better patient “bite” and faster insertion by dental professionals. 3D Systems has just launched the ProJet 1200 3D Printer especially for the dental and jewelry markets. The bench-top 3D Printer is an economical tool using new micro-SLA technology that gives the same great results in part quality as regular SLA but in a smaller package and at purchase price of only $4,900. In fact, casting patterns cost only about 50 cents each so ROI is high for any lab wanting to get into 3D Printing. 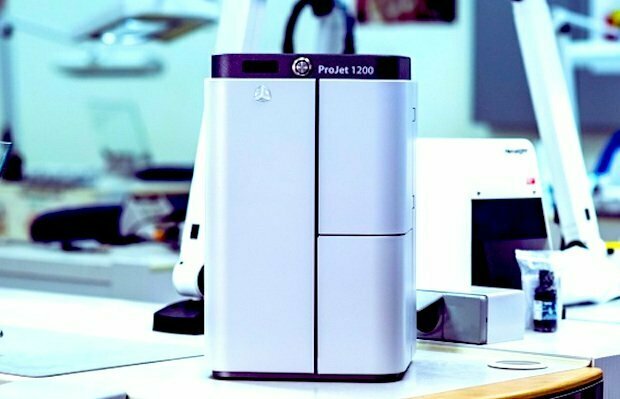 Since many dental labs are small operations, the ProJet 1200 opens up the possibilities of 3D Printing without the expense or complexity of a large machine. Putting the machine through its paces under real dental lab conditions, Sun Dental Labs in Clearwater, Florida served as a Beta test site. The company has a large number of ProJet 3000 stereolithography machines so they were experienced with 3D Printing. The ProJet 1200 can fit right on a workbench since it’s about the size of a coffee maker, with a 8 x 8 base and a height of 13 inches, with both LAN and USB connectivity so everyone in the lab can use it. There is no post-processing as in other methods, since a UV curing station is integrated into the 3D Printer and that assures safe handling of the parts and locks in their mechanical properties. And quality is beautiful. The ProJet 1200 uses a micro SLA process. This type of 3D Printing is highly sophisticated with the beautiful surface finish usually associated with more expensive, high-end machines. 3D Printing ensures repeatability in the manufacturing process, and as new technicians come online, they are able to get up to production speed quicker. With a 30-micron layer thickness, there is good accuracy for prostheses to have the fit you need for a perfect bite.